If you're looking to renovate older, single glazed windows in the Thames Valley area, then our secondary glazing services could be perfect for you. 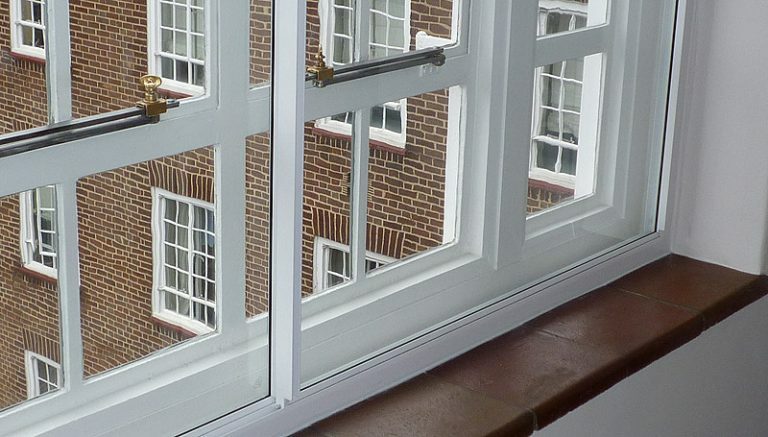 At Abbey Windows, we offer a range of secondary glazing services to homeowners throughout the Reading area. Secondary glazing is the process of adding a second layer of glazing to an outdated, single glazed frame. This allows you to reap the benefits of modern glass without having to entirely replace the frame or window itself. Our range of windows, doors and conservatories are all fitted with high-quality window panels that are approved by the Double Glazing Network. This means your home will benefit from the highest standard of secondary double glazing. Cold spots and draughts can make your home uncomfortable, and they’re common with older, outdated single glazed windows. On the other hand, our secondary glazing is cleverly designed to make sure your home is as warm as possible. This makes sure that during the colder months, you won’t see heat escaping through your older glazing. This makes our secondary glazing services a fantastic investment, especially if you have more dated windows. This is, as a result, a fantastic option if you have an older property. We understand that renovating an older home can be daunting as you want to maintain its period look. However, continuing to live with old single glazed window panels could be costing more than it’s worth. Adding a second pane of glass with this service is the perfect solution. Are you looking for instant secondary glazing cost? Use our free online quote generator to benefit from our competitive secondary glazing prices in Reading. We also offer Aluminium Windows. The safety of you and your family should not be compromised. Our double glazed windows are made using the toughest glass, making sure the risk of potential break ins is at a minimum. Properties that have single glazed windows, or are older looking, are more likely to be broken in to, leaving you with costly repairs. You can trust Abbey to give you the best security. When the outside world attempts to disrupt the peace inside your home, you can be left feeling a little harassed and unhappy. However, with the latest secondary double glazing technology that we offer, your home can remain a calm, quiet place for you to relax and unwind after a long day. This offers you optimal privacy in your Reading and Thames Valley home. If your home requires a window that isn’t a conventional shape, that isn't a problem. Using the latest technology, we here at Abbey are able to tailor make your secondary double glazed window to suit any size or shape. You can get your order to match the colour of your home by choosing from an extensive range. Browse from over 200 colours to get the perfect one. We understand the importance of having a home that is warm and comfortable, whilst also doing a little bit of good for the environment. This is why our secondary glazing services are perfectly suited for any Reading home. Their increased energy efficiency means they are ensuring your home retains as much heat as possible, reducing your carbon footprint. Our team of highly trained installers are knowledgeable in making sure your home is renovated quickly and easily, with minimal waste left after. With every secondary glazing service we deliver, we make sure the process is as hassle free as possible We'll work around you, not the other way around. This makes sure that the installation is as easy as possible. Secondary Glazing from Abbey are unlike any other on the market. With cutting edge designs and precision, you are guaranteed to get a window you can be proud of. Your secondary double glazed window will also ensure you are being left with more free time than before. All they need is the occasional clean to be kept looking brand new. Energy efficient uPVC Casement Windows. Our most popular double glazed window style from Liniar. Secondary glazing is proven to increase your home’s thermal efficiency, reduce your risk of break ins, whilst complementing and enhancing the aesthetics of your home. If you want to get a free cost today, you can use our online quote generator. Our team of knowledgeable experts are on hand to make sure you are fully aware of all the added benefits and features of each double glazed product. Call us on 0118 956 6966 to talk to us today. We will guide you through the range of products and customisation options. Each one can be made to your exact specifications, which means you will be getting a bespoke order for your home. Alternatively, you can send us an email using our contact form, We will be able to get back to you as soon as possible, giving you all the information you need, while answering your questions in detail. All our products are designed to ensure you are being given a high-quality product at an affordable price, making it a worthwhile investment for any property.